We’d love your help. Let us know what’s wrong with this preview of Goldilocks and the Three Bears by Steven Guarnaccia. This retelling of the traditional children's tale has one crucial difference - the bears are a new breed. These guys are hip, with a love of style and design. Their 1950s split-level home is filled with cool furniture from such designers as Alvar Aalto and Isamu Nogochi. To ask other readers questions about Goldilocks and the Three Bears, please sign up. Now, to be honest, my first exposure to Steven Guarnaccia’s artwork was through Rabbit Ears Productions’ version of Anansi, which was narrated by none other than DENZEL WASHINGTON! 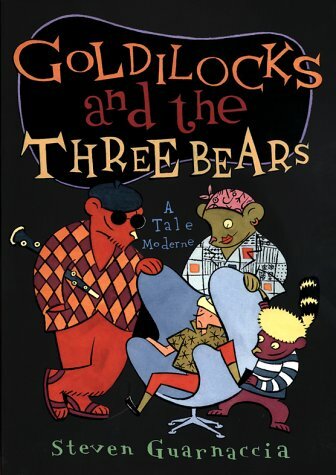 So, when I found out that Steven Guarnaccia had written and illustrated a more modern version of “Goldilocks and the Three Bears,” I just had to give this book a shot! Basically, this book is a retelling of the popular fairy tale story “Goldilocks and the Three Bears” where the story starts off with the three bears going out for a walk in order for their bowls of chili to cool off. Later on, a little girl named Goldilocks stumbles upon their house and starts ruining the three bears’ furniture and food when she tried to get herself comfortable in the house. This is a more modern day take on the classic story as the artwork is inspired by the modernism movement in its art style. Steven Guarnaccia’s artwork was probably the best part of this story, as they brilliantly complement the contemporary style for the popular fairy tale “Goldilocks and the Three Bears.” I loved the way that in the inside covers; we actually see what the names of the furniture being shown in this book are, such as a sofa called the “Alessandro Becchi,” which is a 1971 Italian “Anfibio” sofa and a chair called the 1955 “Series 7.” The names of the furniture actually gives the book an extremely authentic and creative flair as each furniture have unique names that really made them stand out in the entire book. Steven Guarnaccia had also done a brilliant job at detailing the characters in this book, especially of the three bears themselves. 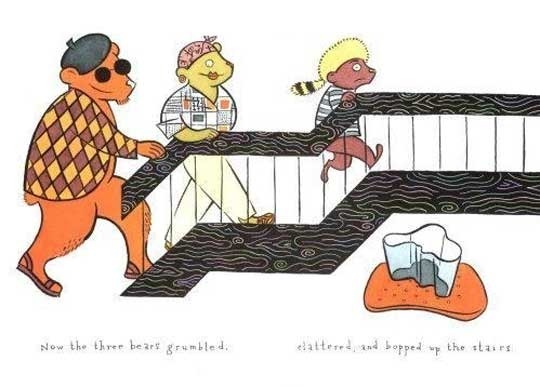 I loved the way that each of the three bears have their own unique styles regarding their clothing; such as the Papa Bear wearing a purple and golden checkerboard shirt and a pair of shades; the Mama Bear wearing a pink bandana on her head along with beige colored pants and a shirt that seems like something that came out of an abstract art; and the Baby Bear wearing a raccoon hat along with a blue and white striped T-shirt. I also loved the illustrations of Goldilocks herself as she is seen with her hair pulled into a ponytail and she wears a shirt that is green with black stars and red pants that comes along with the black shoes. The reason why I gave this book a four star rating was because I felt that this book could have been much more creative with the concept of having a more modernized version of the classic fairy tale. I was actually wishing that the three bears were in a jazz band or something like that because it would have fit nicely with the modernized artwork of the classic story, especially with the Papa Bear looking like he would enjoy playing a saxophone in a jazz band. I also would have liked it more if this book actually provided a back story of sorts for Goldilocks since that would have fleshed out her character further besides just being a little girl who just happens to stumble upon a house full of bears. I would have liked it if this version of Goldilocks was known to be a bad child (just like in both the Rabbit Ears version and James Marshall’s version of the classic tale) and had to learn her lesson about breaking into other people’s homes without permission the hard way. The coolest version of the classic fairy tale. Love the modern illustrations! 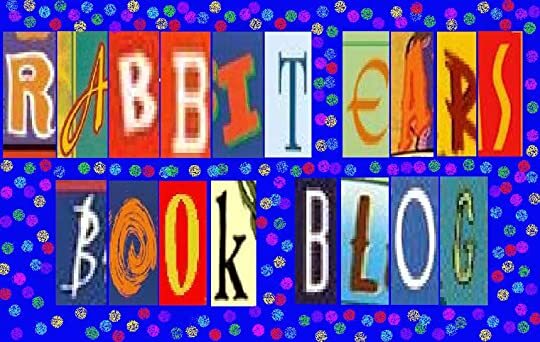 Text below are mainly based from the book's jacketflap. When she discovers the three bears' house in the woods, Goldilocks ventures in and makes herself at home. According to the tradition, she sits in the chairs, samples the meal laid on the table, and takes a nap. Yet something is different in this retelling of the classic story of the girl with the golden locks: it introduced a different dimension to the visual narrative. Though our heroine is the same, our bears certainly are not. These bears Text below are mainly based from the book's jacketflap. Though our heroine is the same, our bears certainly are not. These bears are hip: they have a sense of style and a love of design. Their split-level home is filled with furnishings created by an international crowd of celebrated designers, from Alvar Aalto to Charles and Ray Eames to Isamu Noguchi. Children will delight in this long-beloved story given new life by Steven Guarnaccia's stylized artwork and may even pick up a design tip or two. For those who wish to delve into the names of the designers and their works reproduced here, Guarnaccia has kindly presented them on the endpapers. This book has an interesting looking cover, but I quickly became disenchanted with it when I realized it wasn't really a retelling; it's just a re-illustration of the story with modern art and hipster-looking bears. I think the story is appealing to kids no matter what, but the various pieces of designer furniture depicted and labeled on the end papers of the book didn't feel very child-friendly to me. The idea is clever, but not necessarily appropriate for the audience. This is a very classic retelling of Goldilocks; really, only the language has been updated. The bears, however, live in a very tastefully decorated home. A close inspection of the endpapers reveals that the furniture and decorations are pieces of art. While I appreciate the modern spin on the bears' home, the story itself lacks an interesting update or spin. Skip this one for school collections, though your adult, art-loving friends may find it an interesting picture book. Traditional Literature - 2010 The story itself stays true to form, however the illustrations bring a new twist to this traditional tail. Steven Guarnaccia includes aspects of design within his illustrations by various famous designers. I appreciated explanations at the beginning and the end of the book about what designs were created by whom. This tells the traditional tale of Goldilocks and the Three Bears with some modern twists. You can almost hear the saxophone playing while you read this modern tale. The bears make chili instead of porridge and the ramble instead of walk. The modern illustrations are interesting and also enhance the story line. This was a wonderful hip and up to date rendition of the Goldilocks and The Three Bears. The language was different by saying "ramble in the woods." The plot of the story was the same, but had a great new look. Loved it and so did the kids. The endpapers of this book display textiles and furniture created by modern designers. The entire concept for the book hinges on the artistic design of the three bears' home, which adds nothing to this classic fairy tale that young readers would appreciate. I liked Guarnaccia's moderne lingo. End pages a plus as well. Could use for word choice & audience with student. Traditional tale with interesting art. The best part for me was seeing a "Finlandia" vase by Alver Aalto in the bears house. I was interested in the illustrations and the use of furniture by various designers...for example...an Eames Chair was Little Bear's Chair.